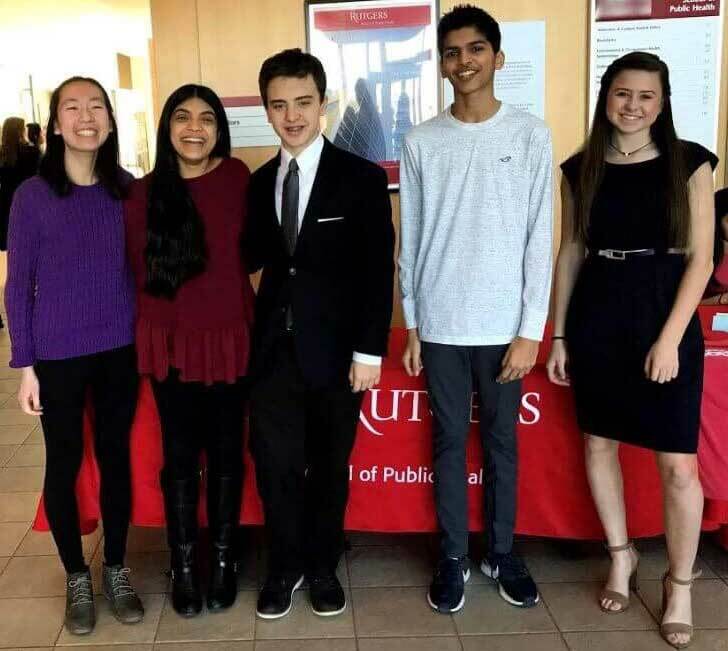 On March 24, five Upper School students and Science and Engineering Department Chair Drew Newman traveled to New Brunswick for the second annual Rutgers Oncology Olympiad. The academic competition was open to high school students across the country, focusing on cancer diagnosis, treatment, symptoms, genetics, and healthcare specialists for the purpose of inspiring the next generation of medical leaders. MFS earned two first place awards and a second place award at the Rutgers Oncology Olympiad. The trio of Hannah Jin ’20, Bobby Lodge ’21, and Kayla Patel ’21 won first place in the “Genes Play a Role” event. Micaela Coll ’19 and Jalen Patel ’20 won a first place prize in the “Introduction to Case Study” event, and the pair earned second place in the “Protect Your Skin” event as well. To compete in the Rutgers Oncology Olympiad, students completed a qualifying test in January. Hannah, Bobby, Kayla, Micaela, and Jalen scored in the 90th percentile of over 200 registered students. At the Olympiad, they competed against 67 other students from 26 New Jersey and Pennsylvania high schools.